Sandwiched in between Sony and Insomniac’s reveal of Spider-Man PS4 and a sneak peek at LEGO Star Wars: The Force Awakens, Hideo Kojima’s unveiling of Death Stranding was undoubtedly the one PlayStation announcement that sparked the most debate online. In typical Kojima fashion, the famed Game Designer has remained as coy as ever regarding the maiden title of Kojima Productions, but he did address some key talking points while appearing on YouTube Live at E3 with Geoff Keighley. 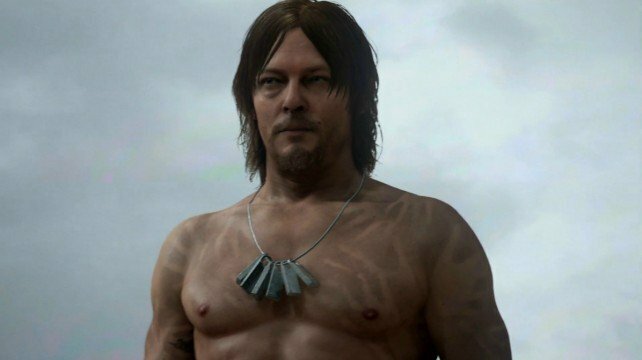 There are a couple of candidates, but they haven’t settled on an engine for Death Stranding yet. Ludens isn’t related to Death Stranding. After two to four hours of playing it, you’ll get the feeling that Death Stranding is something “completely different from what [you’re] used to” playing. The setting and main character’s name are a secret for now, and Kojima wants you to create your own ideas on what was included in the trailer. In terms of development, “it probably will take some time” before Death Stranding is ready. Death Stranding is in development for PlayStation 4, but considering that neither Kojima or his studio have settled on a game engine as of yet, don’t expect word of a release date for quite some time.